Hacienda has two days to get someone to take over management after incapacitated woman raped at the facility. PHOENIX — The state of Arizona is laying the groundwork to prepare for potentially moving patients out of facilities operated by Hacienda HealthCare, sources tell ABC15. According to sources with knowledge of the actions of state agencies, calls have been placed to healthcare providers throughout the state as a preliminary step to check availablity, expertise, and other factors that would need to be considered should patients have to be moved out of Hacienda's care. The moves come as Hacienda has been unable to find a third party to take over the management of its facilities, as Arizona's Medicaid agency and the Department of Economic security ordered following the revelation that an incapacitated woman in its care was raped and became pregnant. The woman gave birth on December 29. Workers at the facility did not know she was pregnant and called 911. Word of the state making calls about placing Hacienda patients elsewhere comes the same day Governor Doug Ducey issued an executive order aimed at strengthening protections for those with disabilities in medical care. The order requires staff who work directly with people with disabilities to go through training in abuse prevention. The agencies will also have to develop a plan to prevent, recognize and report abuse. Lawmakers are also working on a bill that would close loopholes that allow facilities like Hacienda exempt from state licensing requirements and want to clarify which healthcare workers are required to go through a background check. "These discussions are very complicated," said State Senator Heather Carter, who is on the Senate Health and Human Services Committee. "For patients that have been in the facility for a number of years and many times maybe even their entire lives, we want to make sure that their needs are met in a high quality setting." 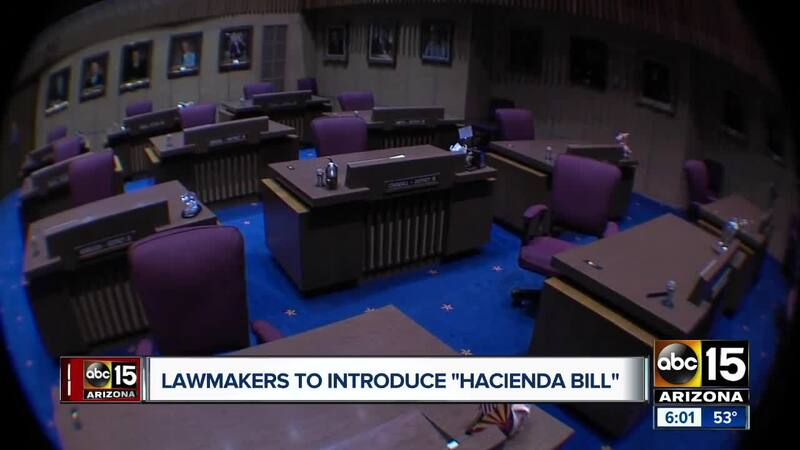 SB 1211, now known as the "Hacienda Bill" was supposed to be introduced this week but lawmakers held off to make sure the language was just right. It's expected to be introduced next week. The governor's office says Hacienda must submit a written plan to have a third-party manager come in by Wednesday night and the third party must be established and operating at Hacienda by Friday, February 8th. Hacienda was in talks with Indiana-based Benchmark Human Services to take over, but was unable to finalize a deal. Nathan Sutherland, a former nurse with Hacienda, has been charged with sexually assaulting the woman as police say DNA connects him to the baby.